QUANTUM PICTURE. 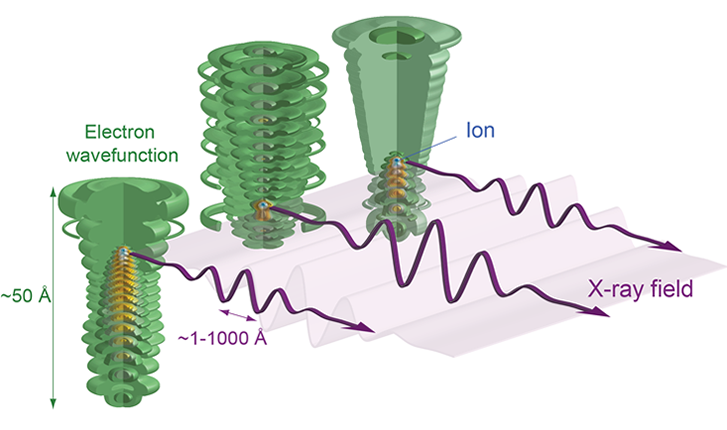 A strong oscillating laser field can create modulations in the electron wavefunction. The wavepacket can expand over ~10-100 hydrogen-atom sizes away from the parent ion. The modulations of the electron wavefunction can give birth to extreme high order harmonics spanning from the IR and visible and UV spectral region, throughout the vacuum ultrviolet, extreme ultraviolen, soft X-ray regions and potentially reaching even the hard X-ray region.